An FHA loan is one of the easiest mortgage loans to qualify for. Due to the program’s low down payment requirement, FHA loans mainly appeals a great deal to first time home buyers. A First Time Home Buyer is defined as anybody who hasn’t bought a house in the last three years. A first-time homeowner, on the other hand, is somebody who hasn’t owned a home before. Buying a home for the first time can be an exciting experience, yet overwhelming for the average person. It is one of the biggest financial decision a person can make in a lifetime. There are lots of decision to make along the way to being a homeowner. Plenty of first time home buyers put off the homebuying process simply because they find it daunting and mind-blogging. An FHA loan is great for people who may have low credit scores, which would usually stop them from getting a loan from a conventional lender. Although FHA only requires a middle FICO score of 580 to qualify, most lenders require a higher middle FICO score as an overlay. A standard benchmark that big commercial lenders use is 640 middle FICO, some even at 660. We are one of the few Texas mortgage lenders that originates a loan with FICO scores as low as 580. As a matter of fact, we can extend an FHA loan to borrowers with a middle-FICO score as low as 500, as long as the borrower has at least 10% down payment. Not only can we originate a loan with scores as low as 580 and below, but can also close it promptly. While other lenders take 45 – 60 days to close a file, our professionals can close a file in 30 days or less. This is critical, especially for first time home buyers as this is their first time to experience the home buying process. We want the whole transaction to be as pleasant and smooth as possible. The Borrower is only required to come up with a 3.5% down payment, and the money can be in the form of a gift from a family member. 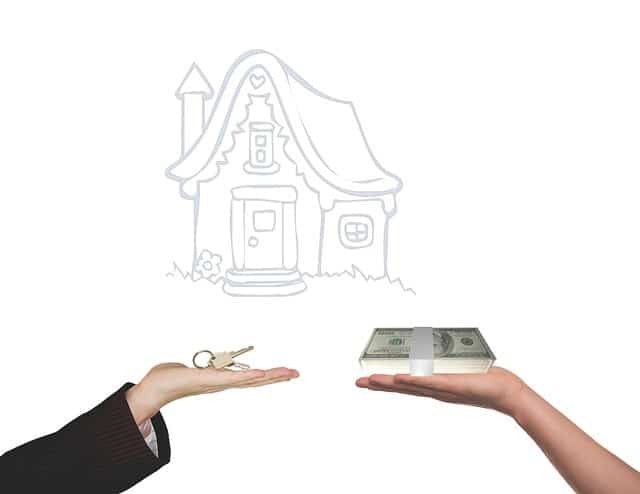 The source of down payment can be a gift not only from a family member but also from a charitable institution or State home buyers program, such as Down Payment Assistance Program, etc. This helps tremendously and eases the burden on the borrower if a borrower is struggling to come up with the necessary money for down payment. With a relatively low credit score requirement, combined with a minimal down payment needed, an FHA loan is ideal for first time home buyers looking to get into a home, compared to other loan programs available in the market. A conventional loan counterpart will require at least 5% down payment from the same borrower, not to mention, a higher middle FICO score requirement to qualify. According to a survey by Apartment List, a majority of millennial renters want to buy a home. The common denominator for all of them is the lack of funds; they all say they cannot afford to buy a home due to lack of financial savings for a down payment on a new home. What most people don’t realize is that there are first-time homebuyer programs and grants that offer financial assistance to qualified buyers. FHA Loans are insured by the Housing and Urban Development (HUD) to protect the lenders from a future default of the homeowner. FHA loans offer low down payment of 3.5%, low credit standard of 580 middle FICO score and are best for people who don’t have a great credit history. Those with a FICO score of less than 580 and all the way down to 500 still qualifies but will need 10% down payment. No other loan program can offer the same criteria for a home loan. The United States Department of Agriculture offers a 100% financing to eligible properties and home buyers, the VA guarantees the loan in case of future default by the borrower. There are two USDA home loan programs: (1) Direct, and ((2) Guaranteed, respectively. The direct is reserved for the low-income household; low-income is defined as a household making less than 80% of the area median income or AMI. To apply, prospective homeowners must go and apply directly to the USDA regional office near them. The USDA Guaranteed Home Loan program is offered to low-to-moderate income household. To qualify for the program, a borrower must meet the income eligibility requirement and the property must be located inside the USDA eligible area map. Fannie Me and Freddie Mac are government-sponsored enterprises created to help build stability in the mortgage industry. Fannie Mae’s HomeReady program only requires 3% down payment as well as Freddie Mac’s Advantage program. Both only requires a mere 3% down payment for a maximum loan-to-value (LTV) of 97% for qualified borrowers. The Native American Direct Loan program is an alternative to the traditional VA loans; it is reserved for Native American veterans and their eligible spouses. They offer 100 percent financing, carries no mortgage insurance and is guaranteed by the VA. To qualify, the property must be situated on allotted lands, Alaska Native corporations, Pacific Island territories, or federally-categorized trusts. Borrowers cannot simply use these loans to purchase, build, or renovate just any home in the country. As a first-time homebuyer, defined as anybody who hasn’t bought a house in the last 3 years, the TDHCA can help. The borrower must have a minimum of 620 middle-FICO score, must meet the income requirements and not exceed the loan limits set by the county. The Texas Mortgage Credit Certificate program allows borrowers to save on their federal income taxes by applying as much as 40% of their mortgage interest payments as a tax credit. This amount is limited to $2,000 per year. It can be combined with any other down payment assistance programs. The My First Texas Home Loan program offers a 30-year, low fixed-interest rate on mortgages for first-time home buyers through a network of participating mortgage lenders. The program includes an assistance of up to 5% of the mortgage amount as a no-interest, no monthly payment second lien that people can use towards their down payment and closing costs. It is a loan as a second lien but doesn’t need to be repaid until the home is sold, refinanced or paid-off. The Good Neighbor Next Door Program is sponsored by the Housing and Urban Development (HUD. It provides housing help for law enforcement officers, firefighters, emergency medical technicians, and educators of pre-K through 12-grade. A prospective homeowner can receive as much as 50% discount on the home’s sales price in areas designated as “revitalization areas.” The homeowner must reside in the house for a minimum of 36 months or three years. The Bootstrap Loan program is one of the most distinctive first-time homebuyer programs in the country. Instead of buying an existing home, it allows you to get a loan to build your own home. It is a very labor intensive and time-consuming endeavor since your title will be the “owner’builder” of the property and you will be required to work under the supervision of a Nonprofit Owner-Builder Housing Provider or NOHP that is certified by Texas, to make sure you are doing and following all the laws. You will be required to do at least 65% of the labor associated with the home construction and NOHP, friends and family members, volunteers, and charitable institutions can help fill the gap. The maximum fund that comes from this program is $45,000 and the borrower can seek financing elsewhere for additional funding. The Housing and Community Development Department (HCDD) administers the City’s Homebuyer Assistance Program, also known as HAP. It is offered to eligible low- to moderate-income households. The funds can be used for down payment, the closing costs, and buydown of the principal. For product-specific guidelines and requirement, visit the Homebuyer Assistance Program for more details. Contact our FHA Home Loan Specialists at 346-297-0516 for additional information or use the tools available on this website.